Why does it take so long for my Heart Rate to go down? I recently found your site and I love it. I am learning to swim by taking lessons. I was always in creeks, rivers, pools, etc. when I was a kid but somewhere along the timeline I developed a fear of the water and so I am learning to develop confidence and finding a new way to exercise. I have been quite hard on myself throughout the years and I can really feel the effects of smoking for many years. I recently quit, about 75 days ago. I know that this is part of why I get so winded in the pool when only doing 50 to 100 yards. I have to rest in between but the teacher is good with that because this is not a competitive class. I signed up for level 1 and 2 back to back (2 hours total, twice per week) without really knowing how much energy I would be putting out. I am actually doing pretty well for a very young minded 59 year old dude. I’m going to keep it up. I’m trying to be brief with the history but felt it was necessary to setup my question which is, why does it take 1-2 hours for my heart rate to get down to the 80’s after swimming for two hours? I feel pretty good and am generally a pretty healthy guy with the exception of the old habit I kicked. I also feel like I am developing more endurance with these swimming classes. I live in Albuquerque, NM where it is 5000 ft altitude at the lowest point. I also love to climb the hills around here from 6,500 up to 8-9,000 foot level. Thank you for reading this and for your website which is helping me to reinforce proper technique. Hi Ron and thanks for your question. Congratulations on your goal to overcome your fear of the water and for taking up swimming lessons at 59 years. 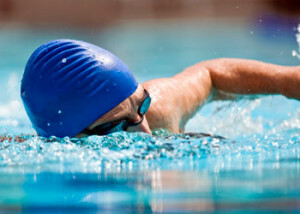 It is great that you are developing more endurance with your swimming and I have no doubt this will improve further in the future. Two hours is a long time to swim for you need to be careful that you do not retain a high heart rate for all this time. You may be better off trying 3 x 1 hour sessions per week and see if your heart rate drops more quickly after these. While I do not have intimate knowledge on heart rates, my understanding is that in general, the better the shape you are in, the more quickly your heart rate will drop to normal. I believe that a history of smoking can also cause your heart rate to stay up for longer than a non-smoker. Your heart rate should return to 80-90 beats per minute more quickly as you get fitter. Other things to take into consideration are if you work at high intensity during the whole workout, your recovery might be slower than if you take regular breaks during your exercise routine. How long your heart rate takes to go back to its resting speed also depends on how long you exercise. If you exercise for a couple of minutes, it will take a short period of time for your heart rate to slow down. If you exercise for 30 or more minutes, it will take longer. The most important factor is that the numbers keep falling minute after minute. 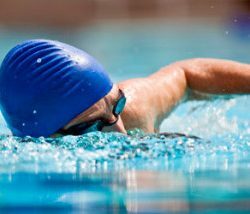 How often should I swim to make a comeback at 16 years?